“The new Vose Galleries on Copley Square is probably the most sumptuous and complete of any in the entire country ... the Vose family has the longest continuous record of any firm in the United States in the business of buying and selling first class paintings. For there are very few of the so called picture dealers in this country ‑ or Europe, for that matter ‑ who are willing to back their judgment with their money, as the Voses always have!'" The 1920’s brought Robert C. Vose more success than he had ever known. He had established a national reputation, employed a staff of fifteen in his gallery, and purchased the Carrig-Rohane frame shop from the famous artist Herman Dudley Murphy (1867-1945). 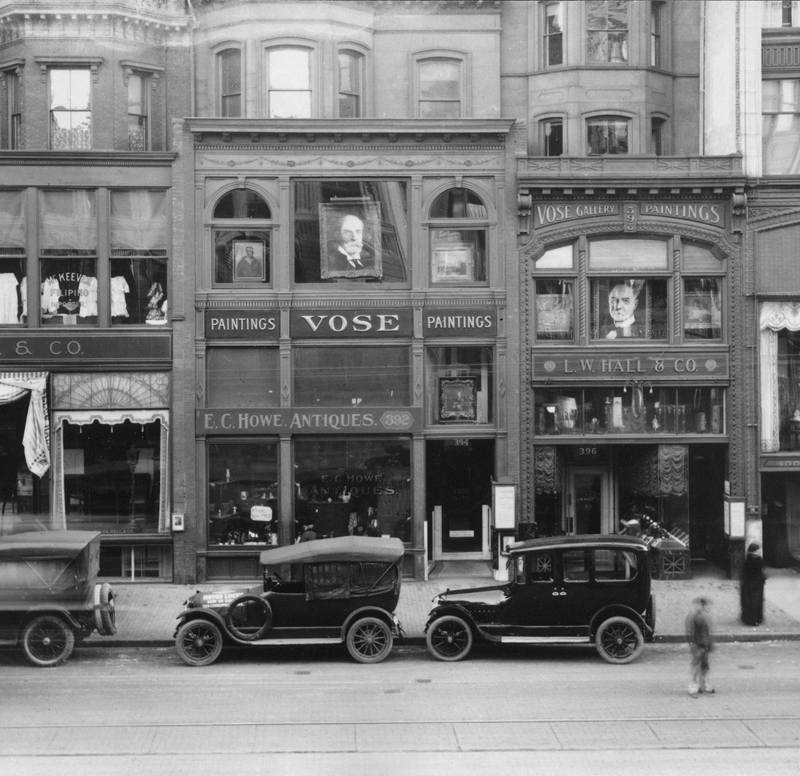 Buoyed with this success, Robert C. Vose opened a new gallery in Boston’s Copley Square in June of 1924. This space, designed by Henry Bailey Alden (1862-1939), was four stories high and featured special diffuse lighting and glasswork that regulated sunlight for the sake of the paintings’ conservation and the aesthetic of the interior. 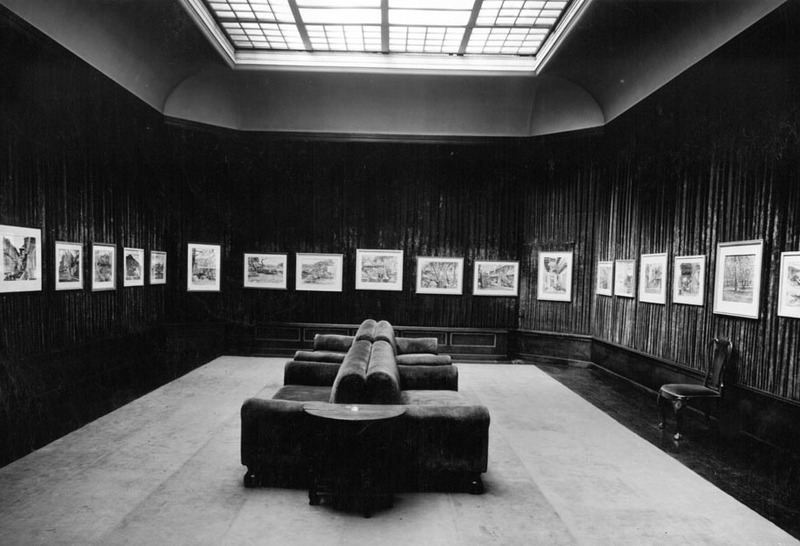 The gallery also featured extensive space for storage, shipping, and gallery hangings. It was the largest gallery in the United States outside of New York City and was declared to be a gallery of “fine dignity and taste” by the Boston Globe. Bostonians flooded Vose Galleries during its first few months in the new location. 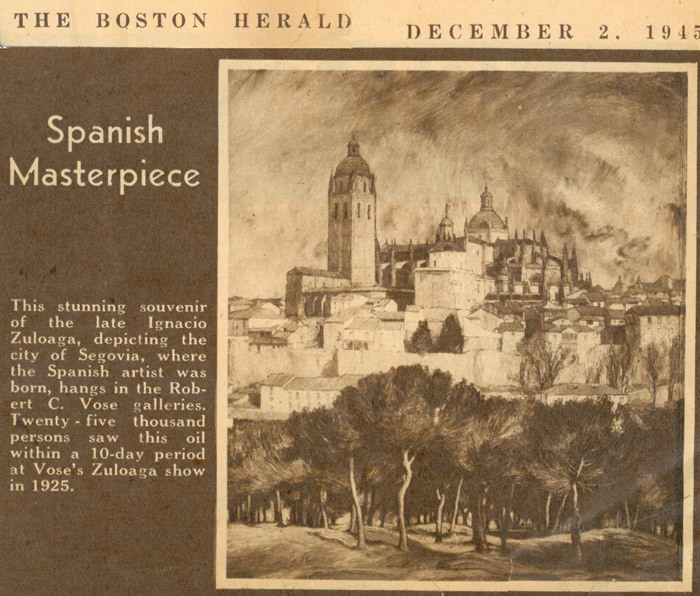 In 1925 for the opening of an Ignacio Zuloaga exhibition, 20,000 people passed through the gallery in a ten-day period. Show after show sold out, and Robert Vose continued his travels throughout the United States, building some of the finest collections in the world.